Gemstones are sought and acquired since times immemorial for their exotic beauty and mystical healing powers. Sparkle Gems Exotic brings this beauty and healing power of gemstones into full body surfaces produced using gemstones selected from around the world. Each piece is individually cut & the pieces are composed and bonded together imparting strength and stability into a surface of scintillating harmony & beauty. These surfaces are pure semiprecious stones & not merely gemstone laminates as the thickness consists entirely of gemstones. The edges can be easily custom shaped to required specifications as these surfaces do not have any backup of granite, marble or acrylic. Many of the gemstones are translucent and this quality is retained in pure gem surfaces. Such surfaces look dramatic when backlit. 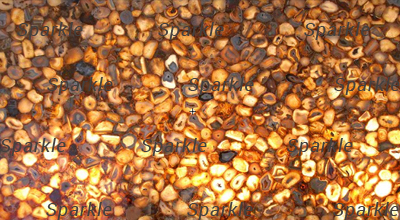 Sparkle Gems Exotic surfaces are meant for the ultimate high end applications & are recommended for indoor use in residences, hotels, restaurants, resorts, offices, showroom or any prestigious project to impart a magnificent touch of natural beauty. Some of the best applications are as counter tops, bar and reception counters, wall and pillar clads, door panels, murals, table-tops.